I’ve managed to whip up a few little FO’s over the last few weeks which I’ve finally gifted so I can post about. One is Calorimetry (how on Earth are you supposed to pronounce that?) from Knitty for my friend Alice. This colourway was just right for her and her amazingly curly reddish hair, which she always has piled up in a gorgeously haphazard updo. The yarn is Twilleys of Stamford Freedom Spirit, in #511. It’s just perfect for fall. 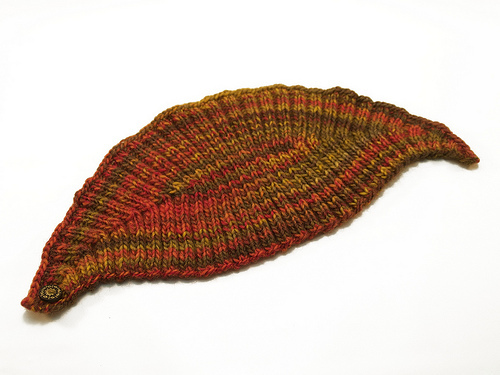 I think if I make this for myself though, which I’m considering, I’ll make it narrower. I tried it on and it felt pretty wide, but when Alice gave it a try she looked amazing. Happy B-Day Alice! 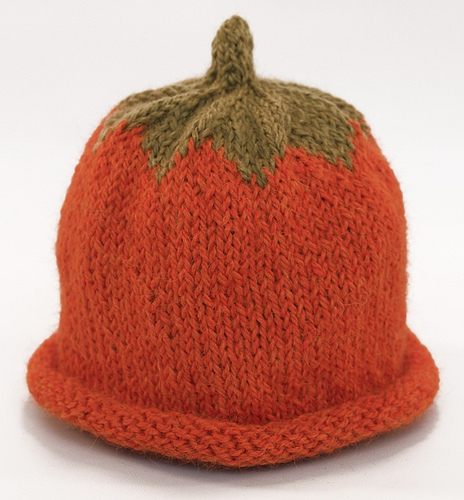 Next up is a pumpkin hat, from the Kids Fruit Cap pattern series by Ann Norling, which can be customized to make anything from a strawberry to a raspberry to whatever kind of fruit hat you like. This is for my new baby nephew. Hopefully I’ll have a nice shot of him wearing it this fall. I made this using Blue Sky Alpacas Sport Weight yarn which I had left over after making Lovable Teddy. 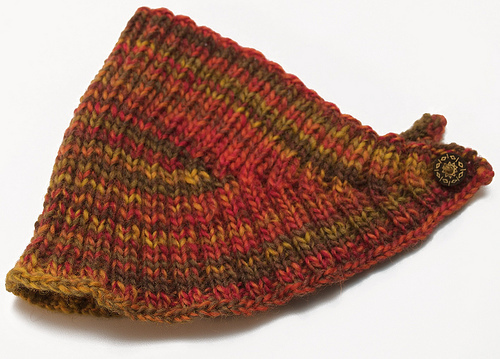 It’s a beautifully luxurious yarn that I’ve fallen totally in love with after making all three of the Lovable Toys. I love these hats, I must borrow that pattern from you sometime! I love my B-day gift – its going to keep me nice and tosty warm for sure!